Where Is Our Climate Lincoln—Or Even LBJ? I was in San Francisco Sunday for the climate rally. About 4,000 people showed up—twice as many as I expected. In Washington, D.C., there were more than 35,000, according to organizers quoted by the Washington Post, though 350.org puts attendance at more than 50,000. Polls say that about 2/3 of US citizens want some kind of action on climate change. Are we at the critical mass needed to take action? To elect leaders who will stand up to the vested interests the way Lyndon Baines Johnson stood up to segregationists? Leaders can’t take people where they don’t want to go. People have to be ready for the change. That doesn’t mean unanimity. There was plenty of resistance to desegregation–not to mention slavery a hundred years earlier. But there was enough to tip the issue. Now it’s rare to find even a self-described conservative who isn’t appalled at overt racial discrimination. Racism still lingers, but segregation is definitely not accepted as worthy of open debate. I hope we’re ready to decide we’re just not going to behave this way anymore—that is, deliberately foul the atmosphere. I hope we’re at a point where the right leadership can step up and frame the issue for what it is: a turning point in history. I hope we’re ready for that leadership to rally the country around the sacrifice and effort it’ll take to keep the ice cap intact, the way Lincoln and LBJ seized their moments. But people still think we have the luxury of time. Even most of the people I spoke to at the climate rally didn’t really have a grasp of the state of the ice cap, or its vital role in regulating the climate. 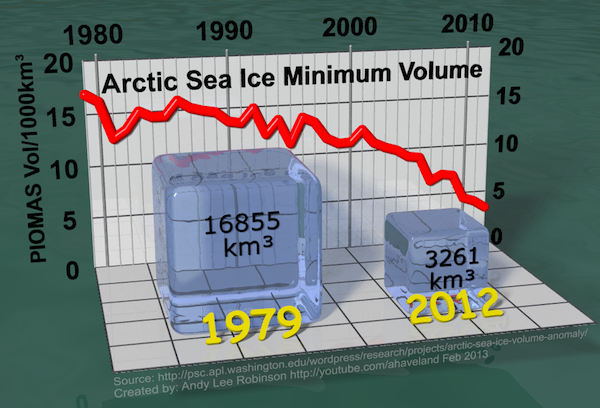 If you didn’t see it, there’s further evidence that the Arctic ice cap is rapidly dwindling and at great risk to disappear. It’s lost 80 percent of its summertime volume since 1980. Of course, if the ice cap goes, the jet stream comes unhinged, seasonal rainfall patterns are disrupted, agriculture fails across the Northern Hemisphere, and the positive feedback loop of permafrost melt, methane/carbon release, and further warming is initiated. It’s probably game over. On this Presidents Day, I ask: is Obama that leader? He made some bold and encouraging statements in his inaugural and State of the Union addresses. But he also reiterated his all-of-the-above energy policy, which includes further oil and gas development, and he was silent on Keystone XL. I wish everyone in those industries all the personal success in the world, but this is the moment we have to decide we’re just not going to do this anymore, the same way we decided we weren’t going to perpetuate institutionalized discrimination anymore. We can argue that stopping Keystone XL won’t make a difference in the climate. We can cite China’s growing coal use. We can cite the substandard environmental practices of foreign petrostates. In other words, we can find excuses not to get on with it. Or we can decide that this is the moment when we begin to undo the complex tangle of culture and economics that got us here. There’s no magic, 100-percent, instantaneous, and conclusive solution. There is only the very complicated unwinding and rebuilding that will take national will and determination, the way desegregation took national will and determination. 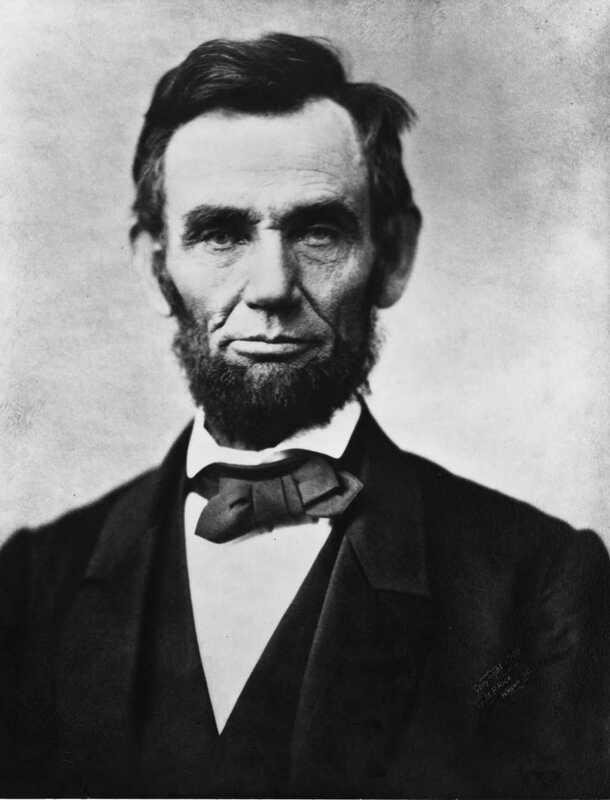 Is Obama our climate Lincoln? 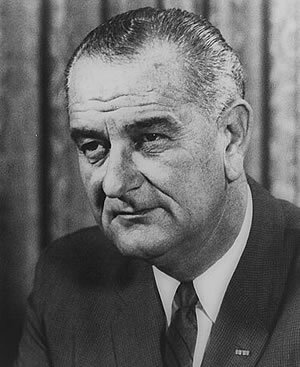 Or even our climate LBJ? Or is he our climate Franklin Pierce, or Millard Fillmore, or George Bush—each a president not up to the main challenge of his time? He’s already moved beyond Bush, but that bar is so low as to be nearly subterranean. But Obama’s nowhere near grasping the nettle as Lincoln or LBJ did. He still has the opportunity. He needs to keep his eye on the ball, and that ball is reforming our economy to use non-fossil energy as fast as possible. Everything else, every other issue, is secondary. If we can’t do that soon, then in 10 or 20 years, nothing else will matter much.